Four Injured As Driver Suffers Heart Attack in Fort Pierce Crash | Schuler, Halvorson, Weisser, Zoeller & Overbeck P.A. Four people sustained injuries in a crash after a driver crossed into oncoming traffic following a heart attack along US Highway 1 in Fort Pierce. Emergency responders arrived to attend to crash victims after a deadly crash along US Highway 1. According to police reports, four people suffered injuries in the accident that sent two senior citizens to the hospital with serious injuries. 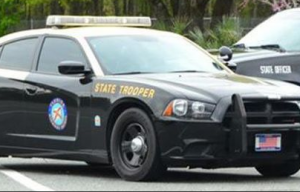 A 57-year-old driver from Delray Beach allegedly suffered a heart attack behind the wheel of a Dodge SUV while traveling in the southbound lane of US Highway 1. According to eyewitness reports, the dodge SUV swerved suddenly out of its lane; subsequently, the SUV ventured into the opposite lane and struck two vehicles before coming to rest on the northbound carriage of the road. One of the vehicles involved in the crash was a 2001 Seat sedan which was driven by 71-year-old Gerald Dean. Dean was driving with his wife, 68-year-old Elizabeth Dean, seated beside him on the northbound lane when the crash occurred. Consequently, they both sustained severe injuries and paramedics rushed them to the hospital for treatment. Additionally, paramedics transported the driver of the Dodge SUV to the hospital for injuries he sustained in the crash. Officials revealed that he is in critical condition at the moment. Meanwhile, the third vehicle involved in the crash was a Ford Focus, which was driven by a 32-year-old woman. She sustained minimal injuries in the crash and paramedics attended to her on the scene. Police are conducting a full investigation into the cause of the crash.